Your dream bathroom is a lively mix of personal preferences: natural materials and plants are perfectly at home while the design is characterised by traditional references and a playful twist. The bathroom can be decorated with your favourite items. Want to add a feminine touch? The room should be communicative and ideally open into the bedroom area. 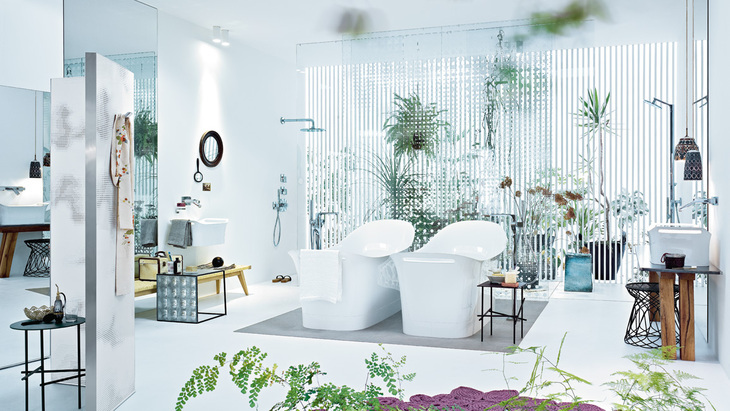 Fortunately, Patricia Urquiola has designed just such a bathroom and room concept for Axor.